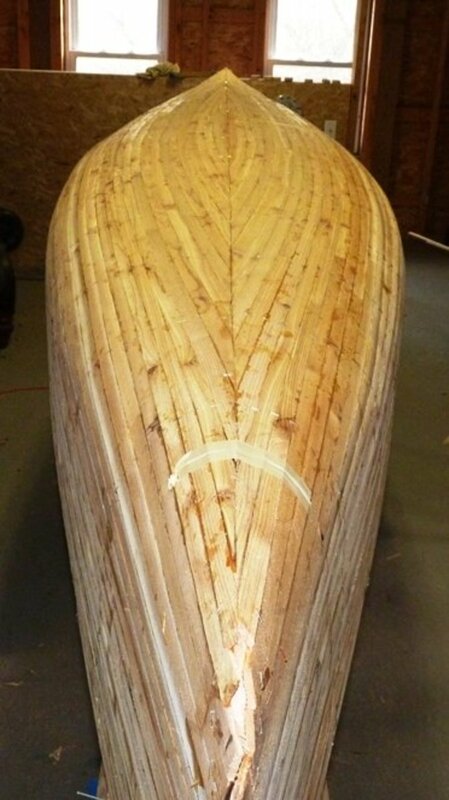 Unless your new canoe is destined to hang in the garage forever, sooner or later it will get scratches. 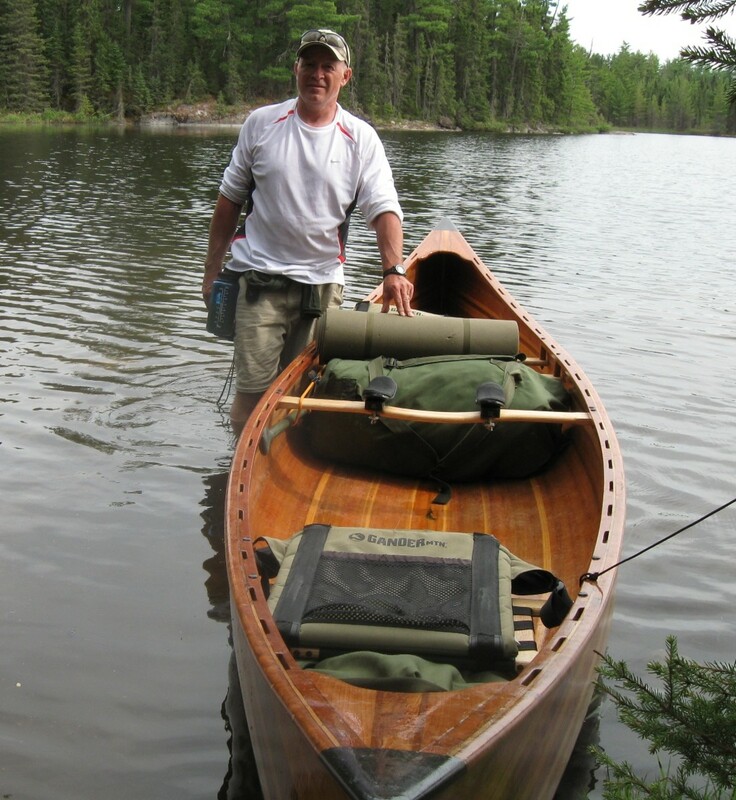 Paddling in lakes which have landings of only beach sand will slow the onset of scratches on the bottom, but I paddle every year in the rocky Canadian Shield lakes. 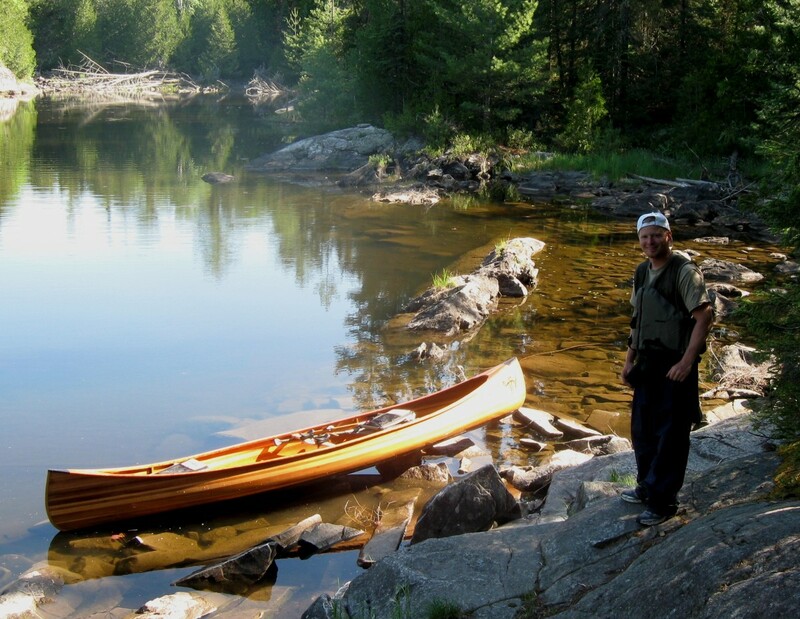 A one-week canoe camping trip can scar the bottom of my canoe significantly, no matter how carefully I try to avoid the rocks. After my first trip with my cedar-strip kayak which had no graphite on the bottom, I decided to apply the black graphite coating. 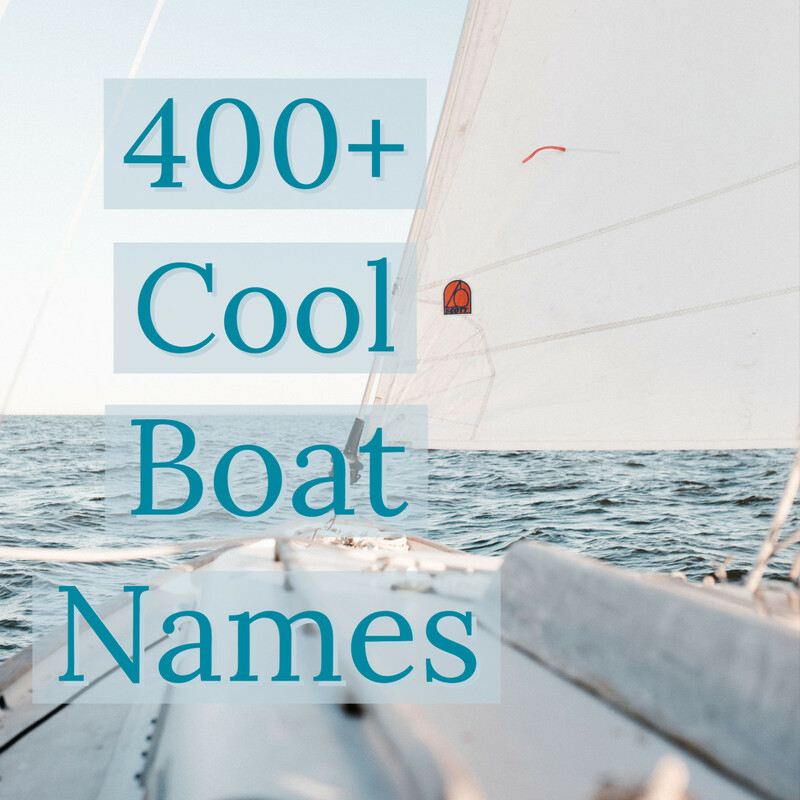 The scratches are easily repaired, but before that is done they can be quite ugly. The graphite coating is an attractive look, in my opinion, but it also has a functional purpose. 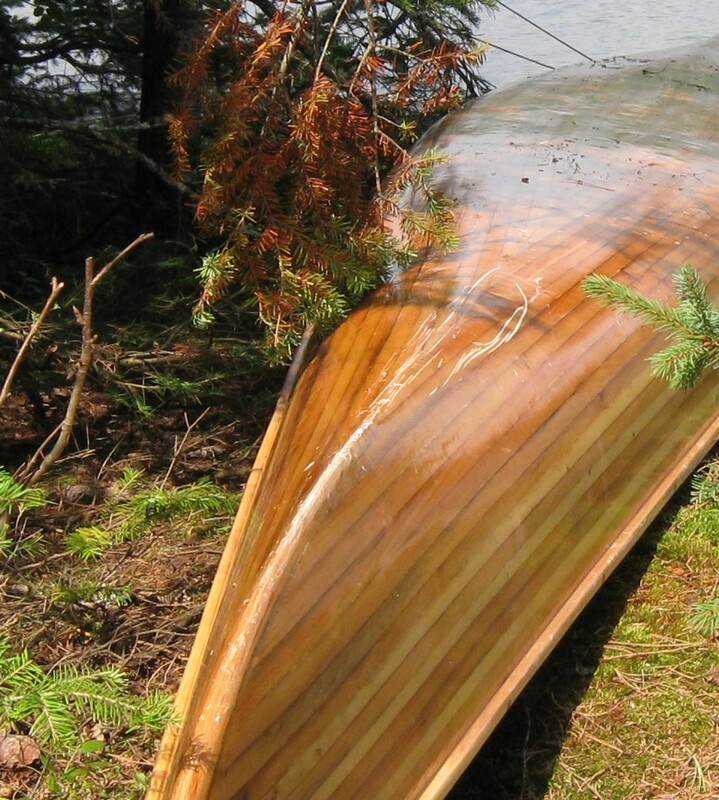 The coating serves as a sort of lubricant, so when the canoe slides over a rock, it will slide with less friction and therefore less deep scratching. 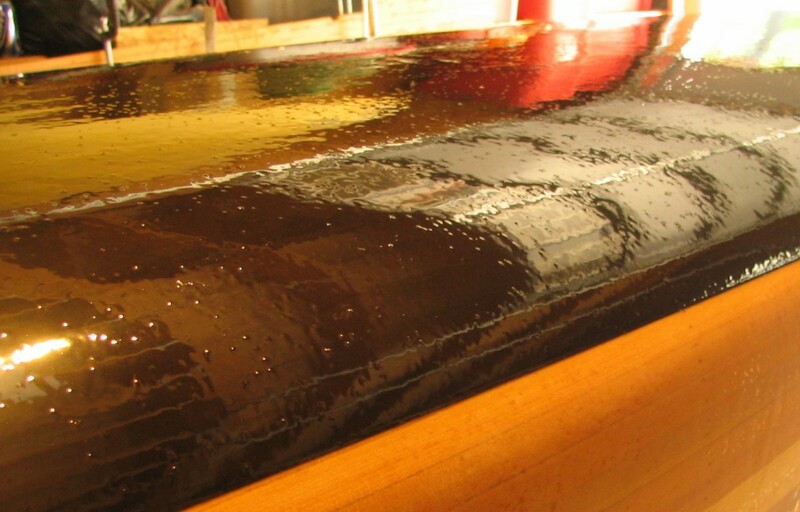 Also it provides a harder wear surface than the varnish coating, so the scratches that do occur appear less prominent. 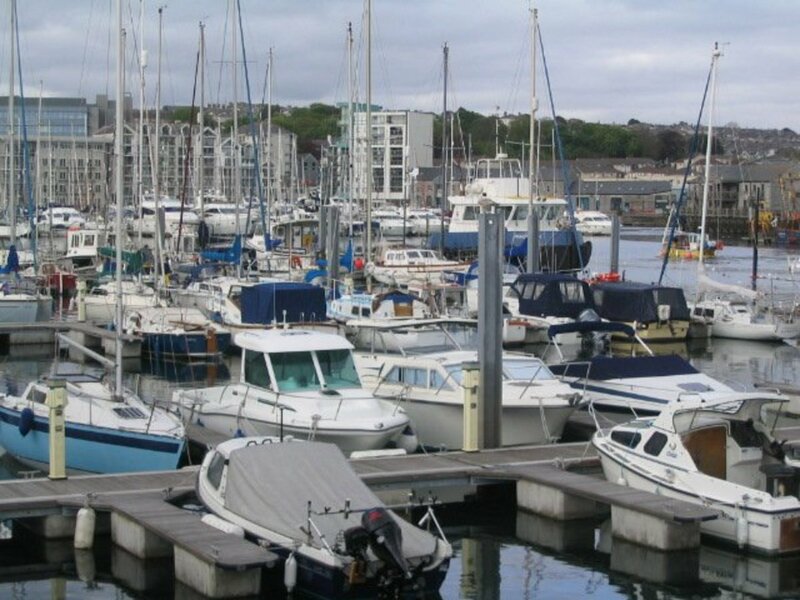 The downsides to applying this coating are that it covers some of the beautiful wood and it adds a slight bit of weight, which is normally only reduced by an ounce at a time during the building process. 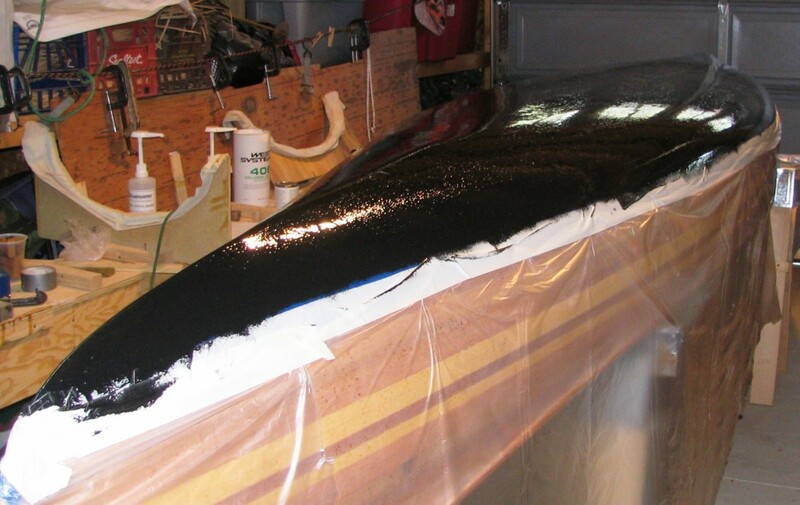 The coating is a mix of black graphite powder, colloidal silica, and epoxy (resin plus hardener). 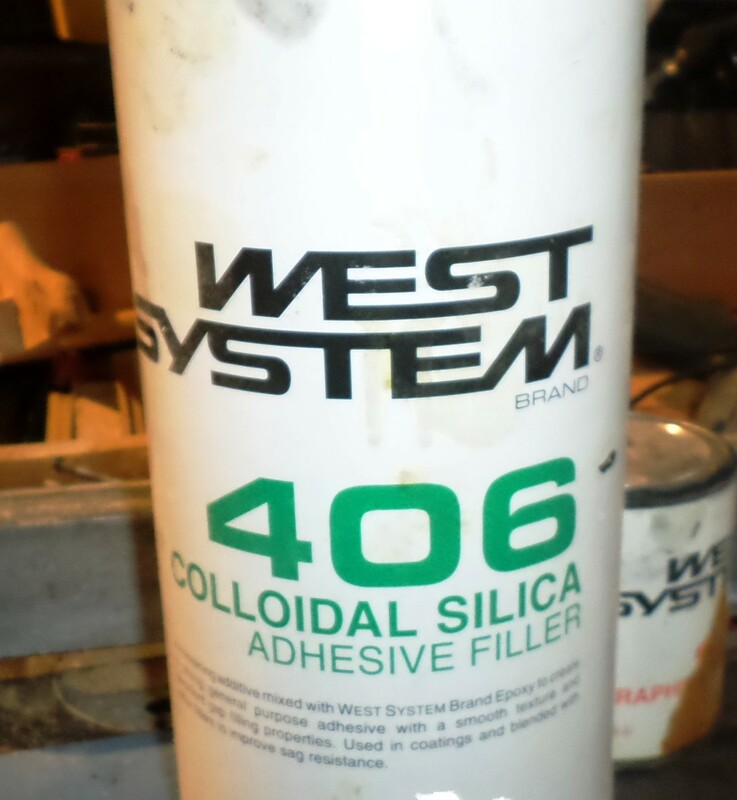 I purchased West Systems 405 Colloidal Silica ($11.86/1.7 oz) and West Systems 423 Graphite Powder ($19/12 oz.) from Jamestown Distributors. 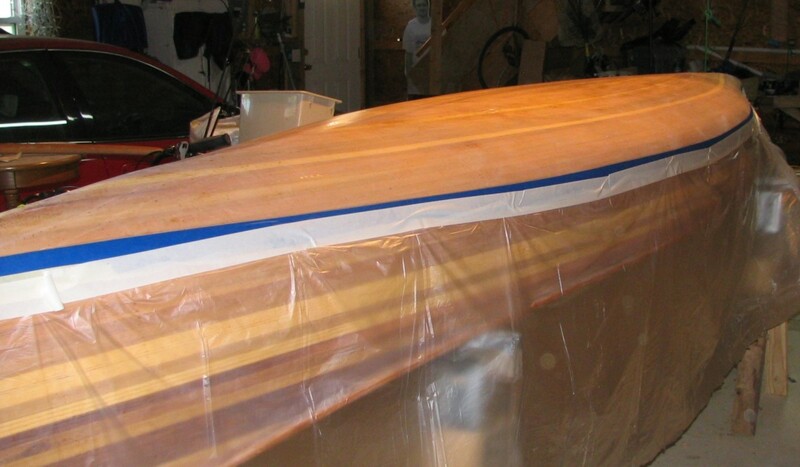 The coatings should be applied after the canoe epoxy surface has been sanded and before the varnish is applied. Once the graphite coatings are applied it is not necessary to varnish that area. The canoe was set on its bottom on my garage floor. I propped one end or the other so that it was level. 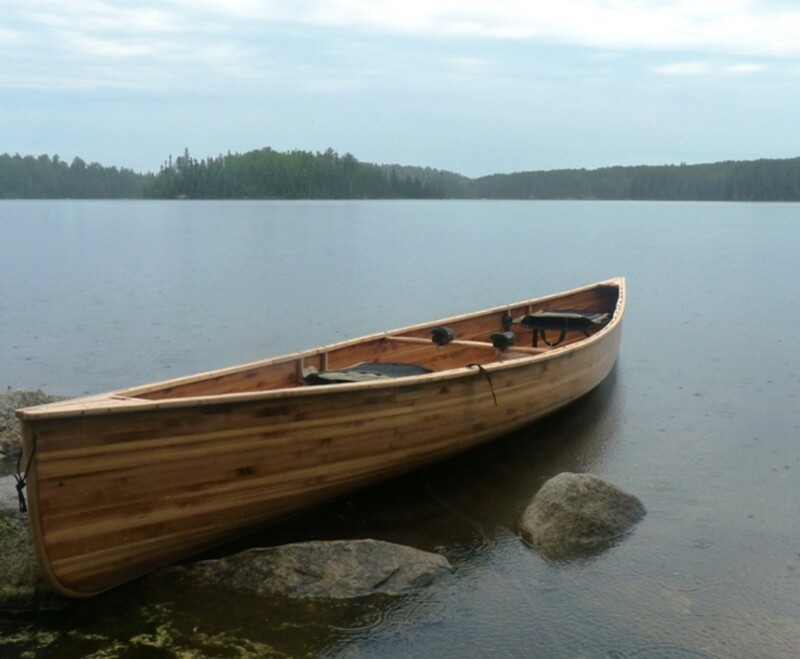 Then, with a pencil attached to a block of wood approximately 3 inches high, I traced a line on the canoe by sliding the wood block along the floor. 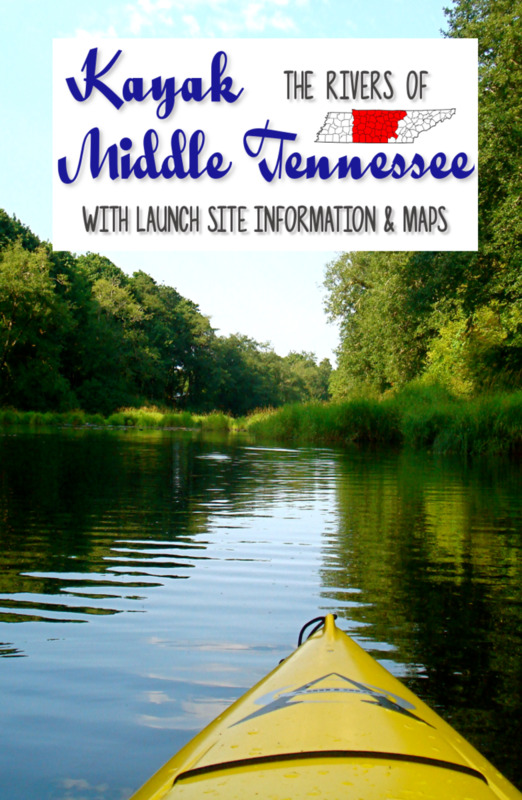 Then I set up the canoe bottom up on saw horses. Next I applied painter’s masking tape along the pencil line. 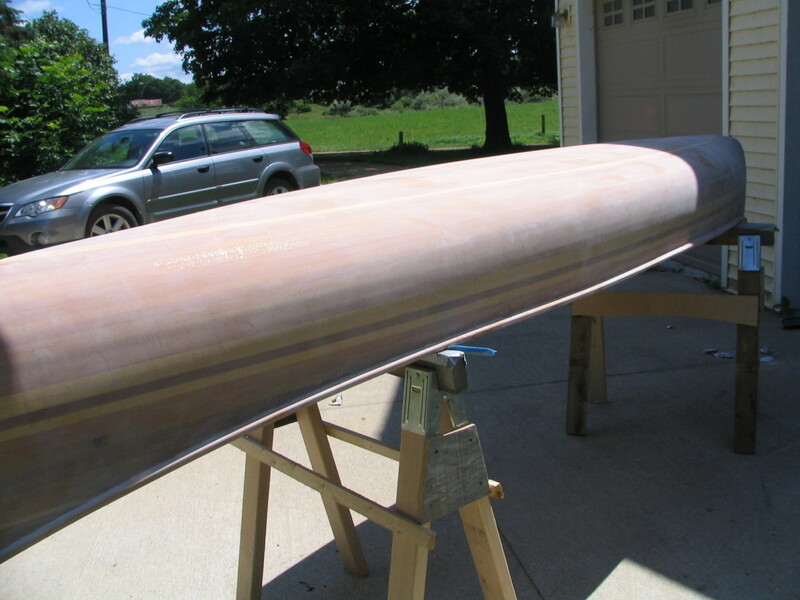 Once the tape was on all around the canoe, I taped on some plastic sheathing to protect the upper surfaces of the canoe. First coat: 25% graphite, 15% silica, 60% epoxy. Second coat: 30% graphite, 10% silica, 60% epoxy. Third coat: 40% graphite, 60% epoxy. I used only two coats. 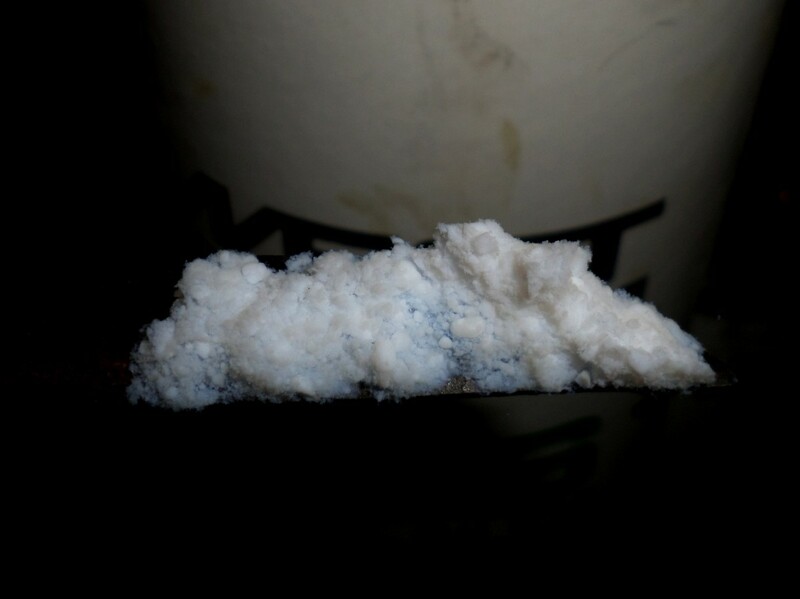 I made the epoxy resin first, mixing it thoroughly in the proportions recommended by the manufacturer. 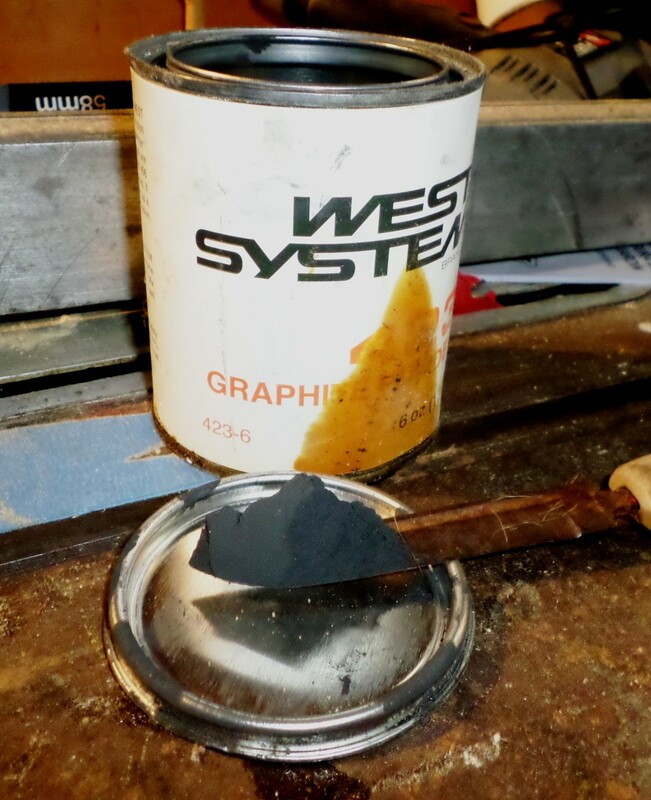 I used the ballpark method to determine the mixtures of graphite, silica,, and epoxy. For the first coating I mixed a ratio of 2:1 graphite to silica into the epoxy, stopping before the mixture seemed too thick apply with a brush. I tried using a roller first, but it didn’t work too well so I used a chip brush. The first coat started to cure with bubbles, making an orange-peel effect, so I let it dry completely then sanded it with very fine sandpaper on a random orbital sander. For the second coating I used a 3:1 mixture of graphite to silica.